The Veterans Affairs Department is looking for a team of developers to consolidate its far-flung agency websites into a single, user-friendly online portal. The vendor would lead a complete redesign of the agency’s primary website, VA.gov, which would include building a new content management system within the VA Enterprise Cloud and migrating content from existing sites to the new platform, according to the request for information. The group would also be responsible for mapping the site’s new structure, optimizing its search functions and working with agency officials to make regular improvements. The overhaul comes as part of the VA Digital Modernization Strategy, an agencywide effort to streamline online services and make it easier for veterans to navigate the benefits process. The initial contract would run for 12 months, with an option to extend an additional 12 months. “VA is committed to dramatically upgrading its user-facing digital tools, becoming the first federal agency to deliver a digital experience on par with the private sector,” officials wrote in the RFI. Today, VA’s online presence is organized in a similar way to the VA itself—veterans need to seek out different websites for benefits, health care, cemetery services and other products. In effect, that means vets need to understand the agency’s bureaucratic structure to access its services. In recent years, the agency has attempted to make this digital maze easier to navigate. 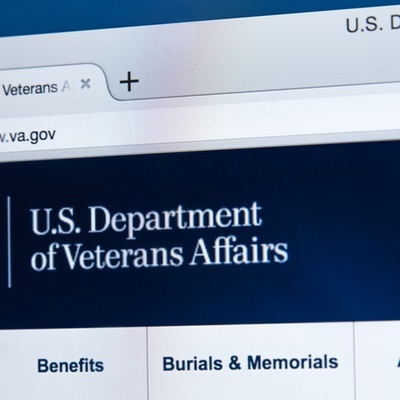 Led by executive director Marcy Jacobs, the Digital Service at VA has revamped online applications, connected portals to vast troves of patient data and given a thorough makeover to vets.gov, a site where veterans can apply for benefits and track claims. Now through the broader VA.gov redesign, VA intends to bring all its veteran-facing sites—vets.gov, myhealth.va.gov, ebenefits.va.gov and explore.va.gov—under the umbrella of the main site. Once completed, the site would act as a one-stop shop for all veteran services. The new content management system must also support a variety of application program interfaces, or APIs, which will allow third parties to build applications that run on VA data and services. Last week, the agency began soliciting separate vendors to build an API management platform. The agency plans to launch the first version of the revamped VA.gov on Veterans’ Day, according to the RFI. The vendor is expected to update the site every two to three weeks. Responses are due Aug. 3.